According to a 451 Research forecast shared by Forbes, worldwide e-commerce sales will approach $6 trillion by 2022. With the number of packages making their way through the distribution stream and onto front porches all across America skyrocketing, the risk of “press and grab” package thefts will likely be rising as well. Fortunately, there is a way to thwart opportunistic thieves. This type of theft involves criminals taking advantage of poorly adhering shipping tape by pressing down on a carton flap, pulling out an item, and allowing the box to flex back into shape. This typically results in the loss of the item not being detected until long after the thief and/or the package has moved on. Water-activated tape is an effective package theft deterrent that gives press and grab thieves second (and third!) thoughts. Water-activated tape (WAT), also known as gummed paper tape, is made of paper with a starch-based adhesive on the back. When moisture is added to WAT by a water-activated tape dispenser and the tape is applied to a shipping carton, the adhesive penetrates the surface and creates a permanent bond by physically welding itself to the paper fibers on the box. Paper-only water-activated tape is strong, tamper evident tape. However, it is also available with embedded fiber reinforcing filaments that make it exceptionally robust. Plus, its seal is proven to endure even the most challenging of environmental conditions including cold and humid climates. WAT is also easy to use. A manual or electric water-activated tape dispenser moistens the tape and cuts a strip of the desired length. The packer then lays the strip across a seam, runs a hand over it, and the adhesive does the rest. It takes only one strip of tape on the top and one strip on the bottom to effectively seal and secure the contents of your shipment. Water-activated tape serves as a deterrent to would-be thieves in multiple ways. First, the strong seal it forms with the carton surface makes it virtually impossible for a thief to press their way into the box. They either have to tear off the tape, taking a significant chunk of cardboard with it, or slice the tape. Either way, there is no disguising what they’ve done. The risk of being caught tends to make most criminals choose a “softer” target. In other instances, thefts are “crimes of opportunity," as a poor seal with another type of packing tape allows a carton’s contents to force its way out when the box is dropped or jostled, and the thief simply grabs and goes. Here again, a strong WAT seal keeps package flaps down and prevents this type of temptation. So, companies considering how to stop package theft should start by considering water-activated tape. Even as water-activated tape is doing its part to keep package theft statistics low, it is also providing other benefits. For example, most cartons can be sealed with a single strip of tape. This gives packages a clean, professional look that reflects well on your company. Plus, water-activated tape can be printed with your company branding, making it a very visible and effective “moving advertisement” for your products. Water-activated tape can also be applied very quickly, which increases packing productivity. In addition, because it is adhered by hand, packers are not exposed to the risk of repetitive motion injuries that can occur when using a packing tape gun for an extended period. When Will Your Next Package Theft Occur? 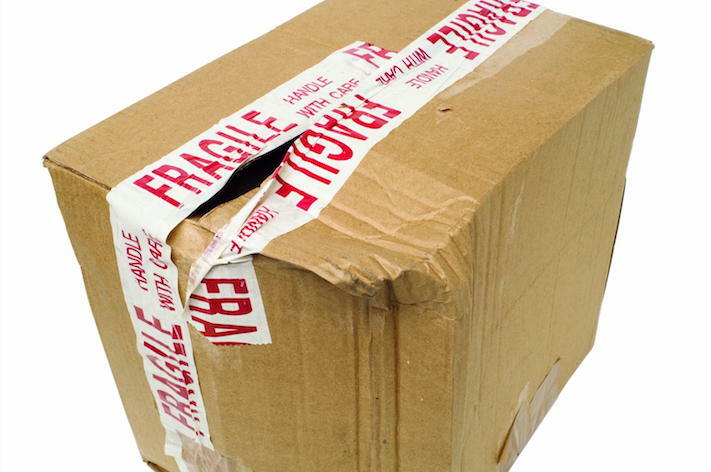 If your organization is fortunate, you haven’t had to deal with package theft often. However, the reality is that it will affect most e-commerce companies eventually, and the cost of replacing stolen goods and repairing damage to your reputation can be high. Switching to water-activated tape, on the other hand, is very affordable and easy to do. To learn more about our water-activated tape, water-activated tape and water-activated tape dispensers, and other products, please contact us at your convenience.